Metadata Tagging and Policy Expression: Demonstrate the use of blockchain for security metadata and tagging to manage access, provide auditing and provenance information. Data Aggregation and Linkage: Use of blockchain technology to securely aggregate, link and share patient data to the destination of their choice. 2. What is the Code-A-Thon expected to accomplish? 3. I am interested in Blockchain’s application in the healthcare ecosystem but do not want to be part of the contest, can I still attend? Interested parties who do not wish to be part of the Code-a-thon contest may participate as an “observer” and attend the educational “Office Hours” sessions where they will hear from select industry leaders about their real world implementation of distributed ledger technologies and/or other open services. 4. When and where is the Code-A-Thon? The competition will begin at 8am on March 14, 2017 and will end at 12:30pm March 15, 2017. The event will take place in the Fisher Colloquium inside the Rafik B. Hariri Building at the Georgetown University. 5. How can interested parties learn more about the goal and process of the Code-A-Thon? The challenge website (insert link) is the best source of information for this challenge and will be updated frequently. ONC will also host informational webinars for prospective participants on February 17th and March 1st. 6. Are these grant award programs? The Code-a-thon awards are not grants. It is a prize competition run under the authority of the America COMPETES Act, which enables ONC to invest in innovation through research and development. Challenges are a way for HHS employees to draw on external talent and ideas to solve critical problems. 7. Who do you expect will participate? 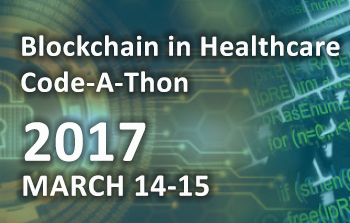 Coders, developers, industry experts, academia but we welcome anyone interested in Blockchain use in healthcare to join. 8. What sizes are the teams and when will they be determined? Teams should be made up of 2-5 participants. Teams may not be set in advance. Informal formation of teams is encouraged however; team formation will be finalized at the event. Based on number of registrants, we will ask that you consider taking on additional team members if needed. ALL individuals in a team must meet the eligibility requirements and comply with the Code-a-thon Code of Conduct. 9. When are project submissions due? Submissions are due no later than 7:00 am on Wednesday, March 15th via the Challenge site and posted to GitHub. 10. What is the amount of prize money available for this challenge? (3) Third place winners will receive $1,000 ea; (2) Second Place winners will receive $2,000 ea; (1) First prize winner will receive $ 5,000. There will be up to (6) honorable mention awardees that will receive $500 ea. 11. When will winners be announced? 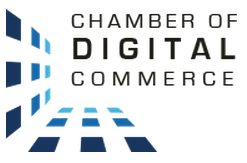 Winners will be announced at the Chamber of Digital Commerce’s Blockchain Summit following the Code-A-Thon. ONC will also publically announce the winners later in that week via a Press Release and on the ONC Tech Lab Innovation page. 12. What is in scope for this Code-A-Thon? The scope of this Code-A-Thon is limited to solutions developed on the blockchain that address the 3 identified tracks. 13. Must all work on the code-a-thon project be started when the hackathon begins or can we work on the project in advance? Projects can be started in advance as long as they have been posted with a creative commons license to the public domain for others potential use.